Dealer bookings at the Porsche Experience Center in Atlanta have been strong since the venue opened in May. Click here to see more photos and read fun facts about the Experience Center. Von Platen: Dealers get it. ATLANTA -- Angela Lanier has bought four Porsche 911s from Hennessy Porsche North Atlanta over the last 12 years. On Aug. 21, she figured out what her fifth purchase likely will be. "I wasn't planning on purchasing another car anytime soon," Lanier said. 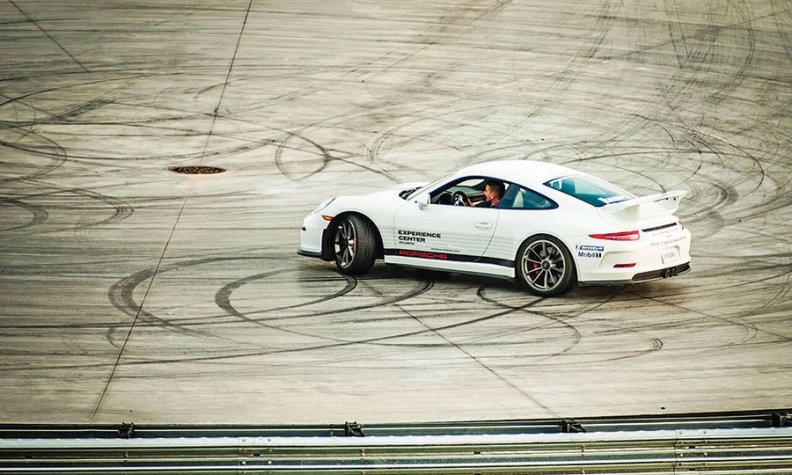 But after instructors at the Porsche Experience Center here took her for hot laps on the center's test track in three 911 variants at a party hosted by the dealership, Lanier said she now is "thinking of buying a GT3." 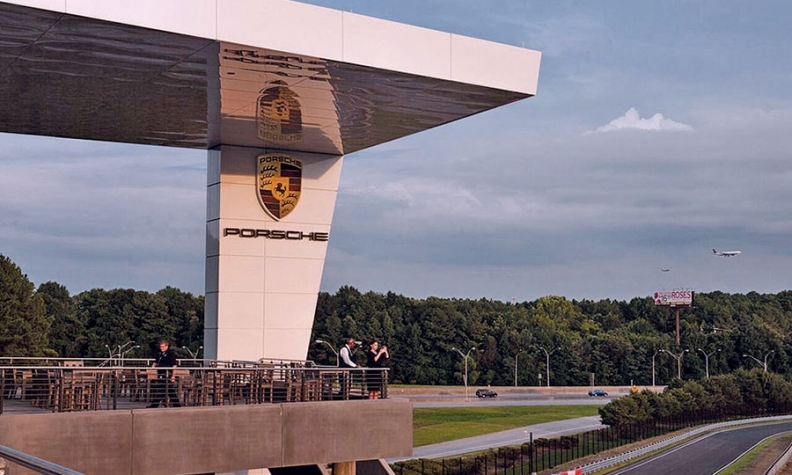 Such reactions are what Atlanta dealer Peter Hennessy wanted to tap into when Porsche Cars North America opened its new U.S. headquarters and experience center in May on a site next to busy Hartsfield-Jackson Atlanta International Airport. His dealership has hosted two events at the venue since May and given out more than a dozen gift cards so customers can drive the track's six modules. "It's a huge asset for not only the brand but for our operation in Atlanta," Hennessy said. "Whenever anybody lands at the airport, to look out and see that facility and commitment, that elevates people's perception of the brand." That's exactly the kind of dealer buy-in Porsche's U.S. chief, Detlev von Platen, was seeking when he proposed the $100 million project. Since the early-May opening and a dealer program at the venue late that month, dealer bookings have been strong, von Platen said. Each of Porsche's 189 U.S. dealerships got two free gift cards, good for sessions at the track, plus the ability to buy more at a discounted rate. After taking hot laps on the test track, Angela Lanier, above, said she's thinking about buying a 911 GT3. "They're not selling products only anymore," von Platen said. "They're selling an experience." He envisions having "the experience of the training, of driving the cars, included in the car when you buy it. This is now something that is possible." The Atlanta site is the first of two U.S. centers that Porsche's dealers can tap. A second, under construction near Los Angeles, is slated to open in 2016. The Atlanta center includes a handling course, a low-friction circle and an off-road course constructed in part from debris left behind when the old Ford plant on the site was razed years ago. These modules are designed for both fun and to help customers improve their driving skills. The track's kick plate, for instance, pushes a car to the side, and the driver must figure out how to quickly recover. More than 30 instructors work at the center, which has around 80 Porsches in its fleet. Visitors can choose existing packages or customize their own. They can bring their own Porsches to the track, drive the cars that are there or even have a newly purchased vehicle delivered at the center. Deliveries on-site, rather than at the selling dealership, "was a sensitive topic with our dealers, but when they came here, they said it was a must," von Platen said. When customers experience a Porsche delivery in Germany, "you are addicted for life." In Germany, customers take delivery of their Porsches from the factory and get to try them out before they are shipped home. Von Platen anticipates U.S. delivery at the center will be a similarly powerful marketing tool. The operation also has a museum, restoration center, custom design studio, driving simulators, gym and a fine-dining restaurant. Porsche is renting space for corporate meetings and parties, and the center has been in high demand since its opening, Porsche officials said. Customers can test cars on six modules at the track. Suburban Boston dealer Ray Ciccolo plans to use the center to reward customers and staff. He is giving away his two free gift cards at an upcoming grand-opening event for his expanded operation, which opened for business in July. In addition to the $500 driving experience, Ciccolo will pay for a flight and hotel for the winners of the drawing. He also plans to send all 15 of his employees, starting with the sales department and finishing by the end of this year. "I can't think of any better way to immerse someone into the Porsche experience than to go down there and drive these cars," Ciccolo said. "You'll forever be linked to Porsche if you do this." He also may package a group experience for interested customers. The center will customize a special program if a dealership wants to send six or more people, Ciccolo said. "It would be nice to send a large contingent from my dealership," he said. "It builds customer loyalty and retention, some of the things we're trying to do." With its proximity to the center, Hennessy Porsche already is seeing that happening, General Manager Mark Venti said. A party the dealership held in May at the site attracted 75 customers on short notice, including one who left a business trip in Arizona to return to Atlanta for the evening event before heading back the next morning. The average customer at that event probably had purchased eight cars from Hennessy Porsche, Peter Hennessy said. The Aug. 21 party brought in 75 more to watch a Hennessy customer take delivery of his blue-and-orange Gulf livery 918 Spyder supercar. The Atlanta businessman who bought the car didn't want to be named, but he noted it was his fifth Porsche and that he already has a sixth on order. That party, in the museum adjacent to the track, cost Hennessy $20,000. The May party, in the restaurant, cost $13,000. "It's a different approach, but it's a very economical one for us," Hennessy said. "The facility and the exhibits down there, and the ability to show the cars and the track -- it draws the people you really want to attract, so it's a very reasonable expense for us."